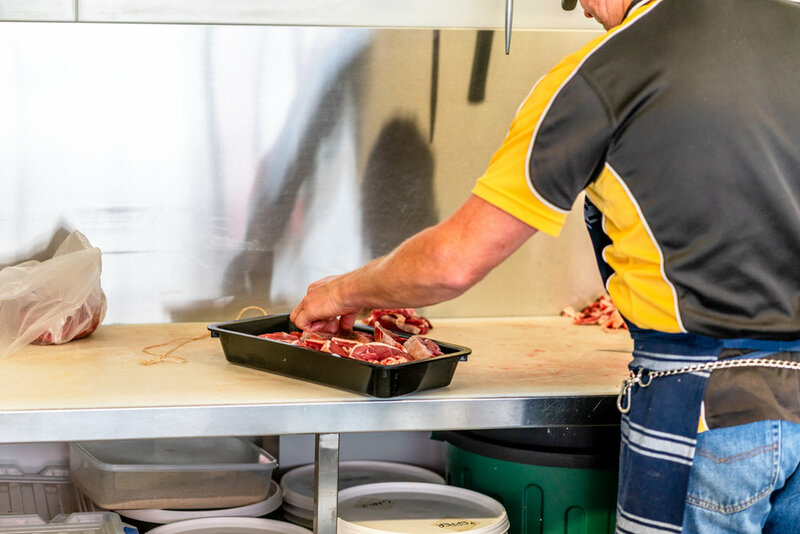 Lockhart Gourmet Meats is a local butcher bringing you the finest cuts of meat direct from the paddock to your plate. Servicing the customers of Lockhart and district for many years, they deliver outstanding customer service and advice as well as high quality premium meat products that are assured to get your mouth watering. From the perfect Sunday roast, to their premium quality steaks, mouth watering chicken kievs, gourmet sausages and tasty stir fry meats, their team is always ready to suggest a dish or two. With quality merchandise also comes exceptional service. We also offer local produce throughout the seasons. Why not drop into the shop and have a look at our extensive range. Our products are guaranteed to satisfy.